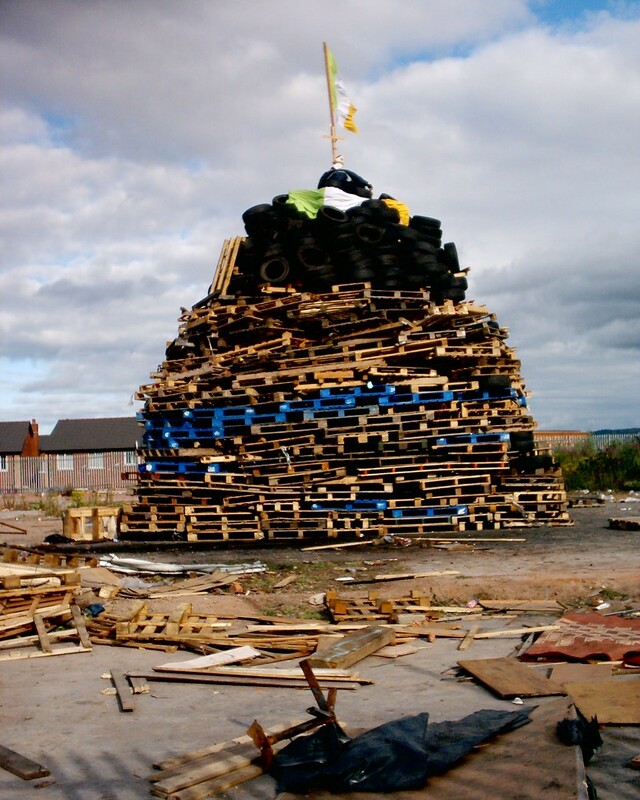 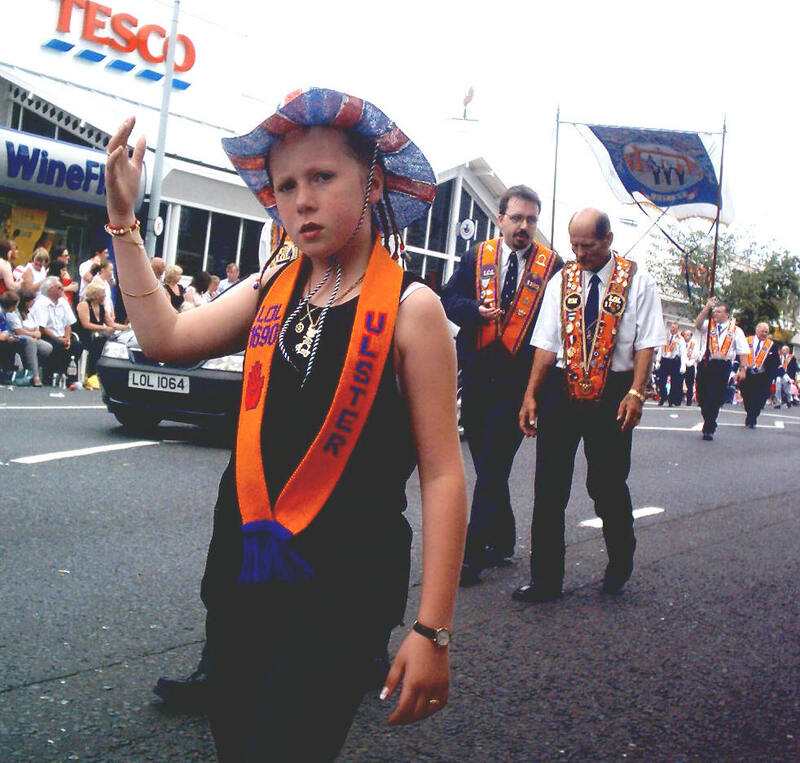 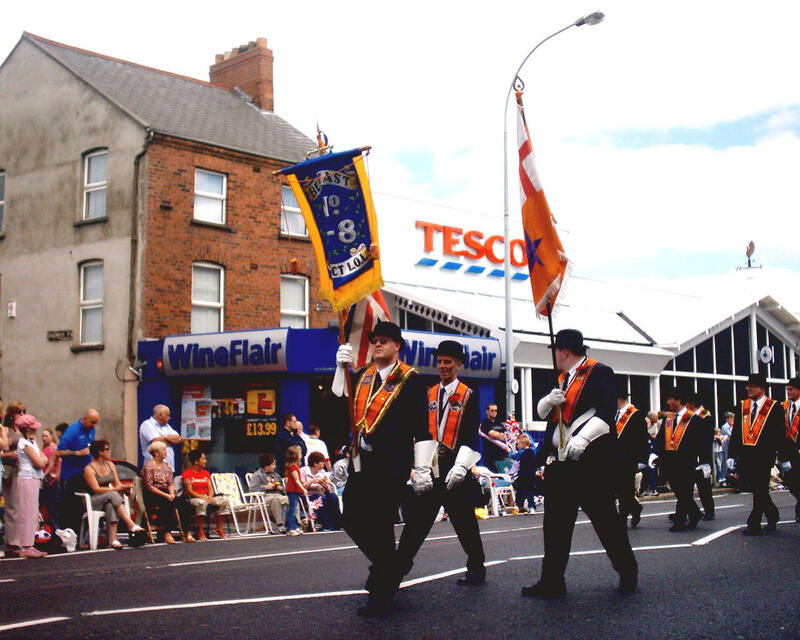 This year, in order to promote the family party atmosphere that many older Ulsterfolk remember, the Shankill Road was closed to traffic for a stretch outside the Co-op supermarket from the early evening. 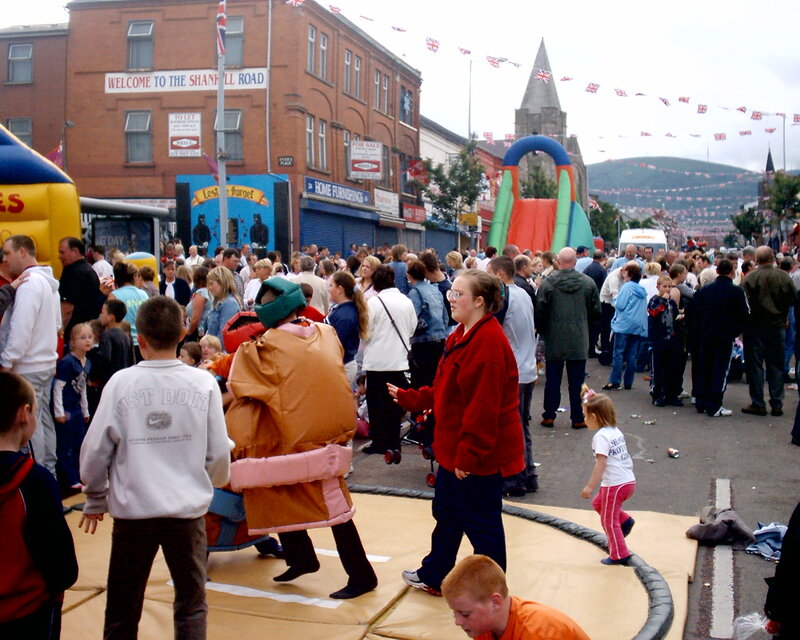 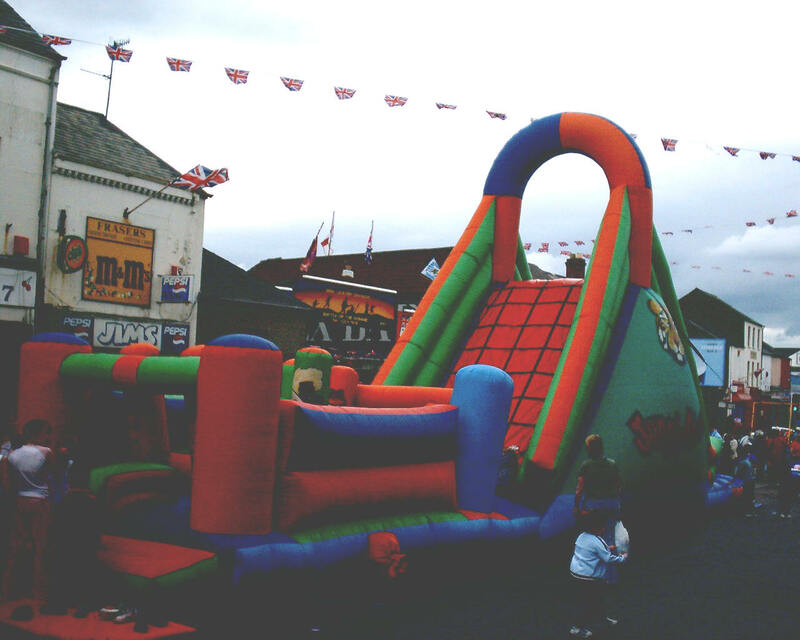 Bouncy castles, sumo wrestling, a bull ride game, a large inflatable slide, a barbeque, live music and a DJ outside the Rex Bar drew crowds of all ages from all over the Shankill area and further afield. 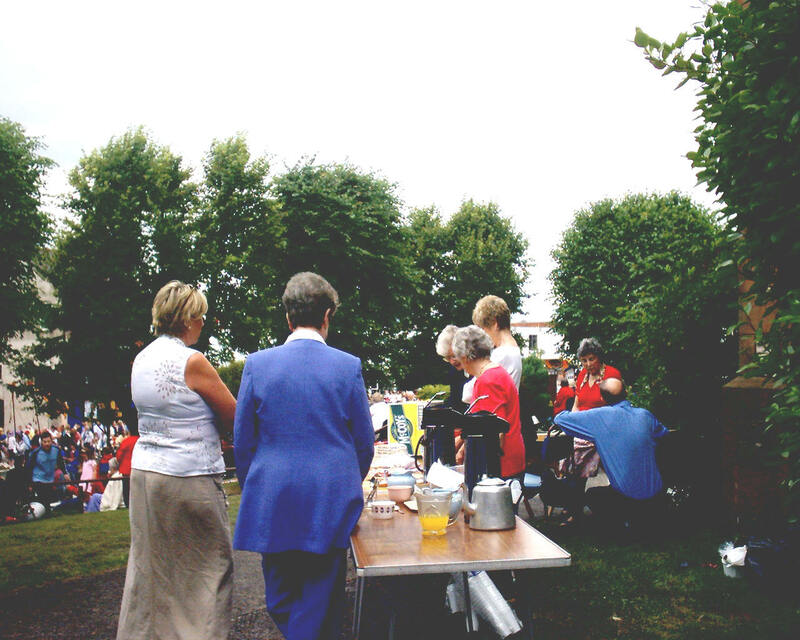 There were also visitors from Scotland, England, Canada, Australia and even a girl from South Korea! 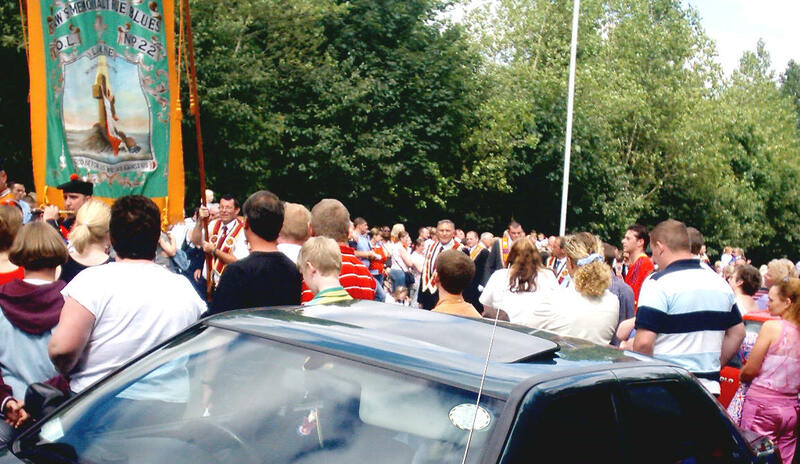 Crowds watch the Lambegs depart. 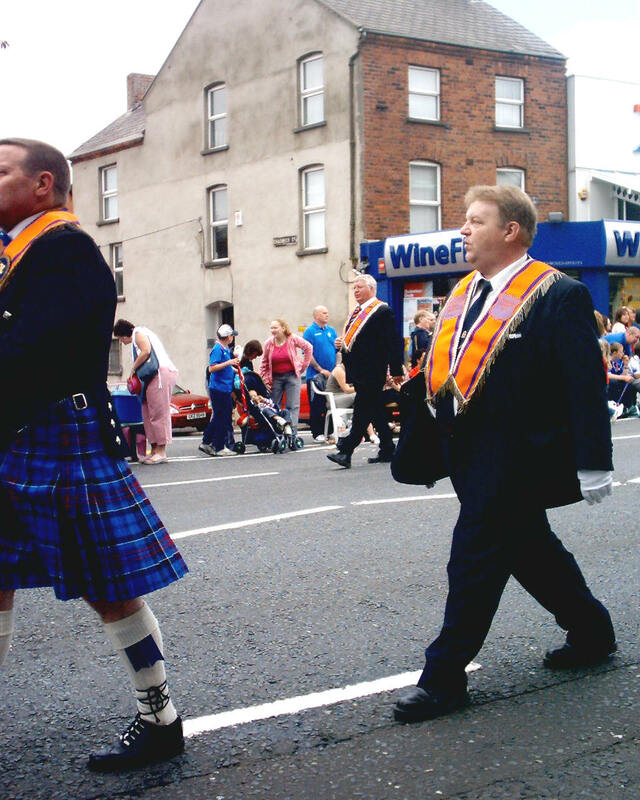 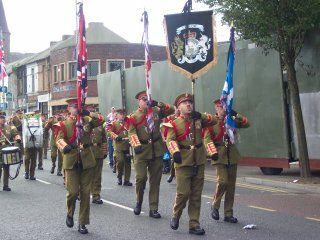 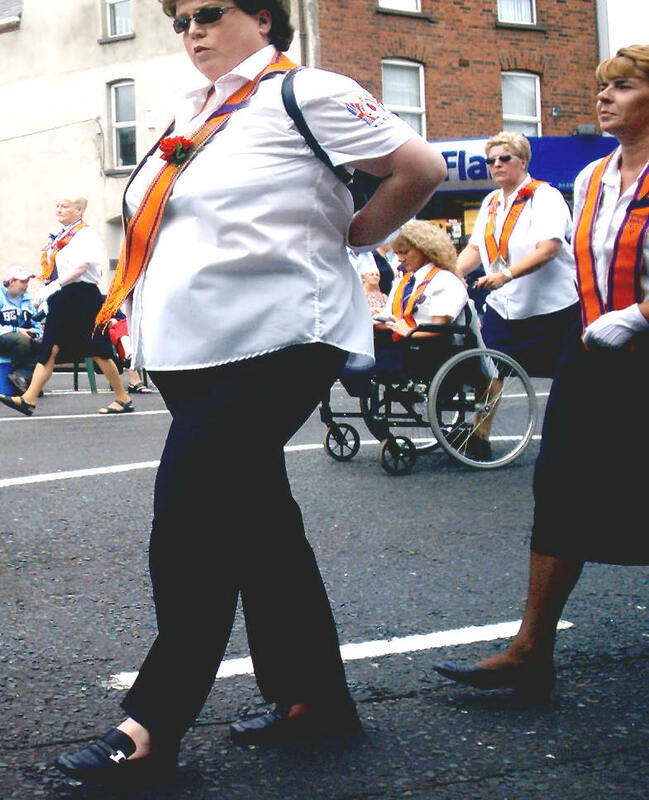 These are the first pictures from the main Belfast parade. 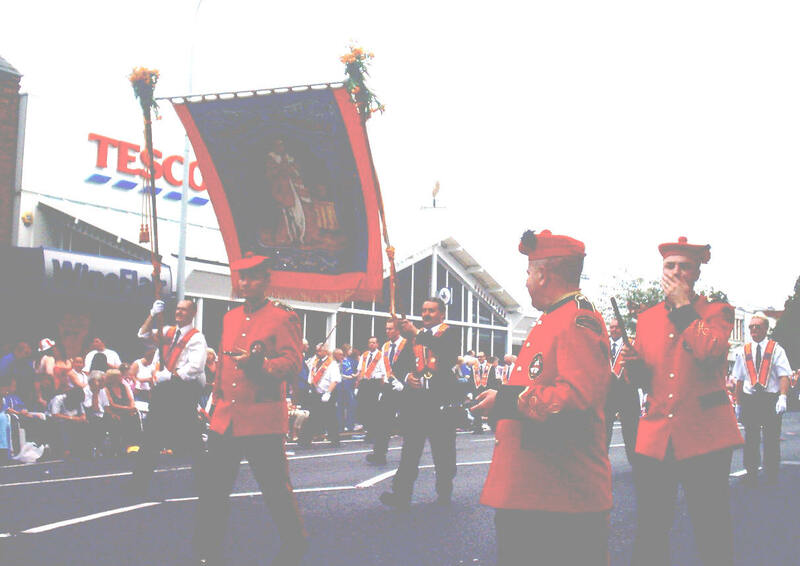 They were taken on the Lisburn Road in the south of the city. 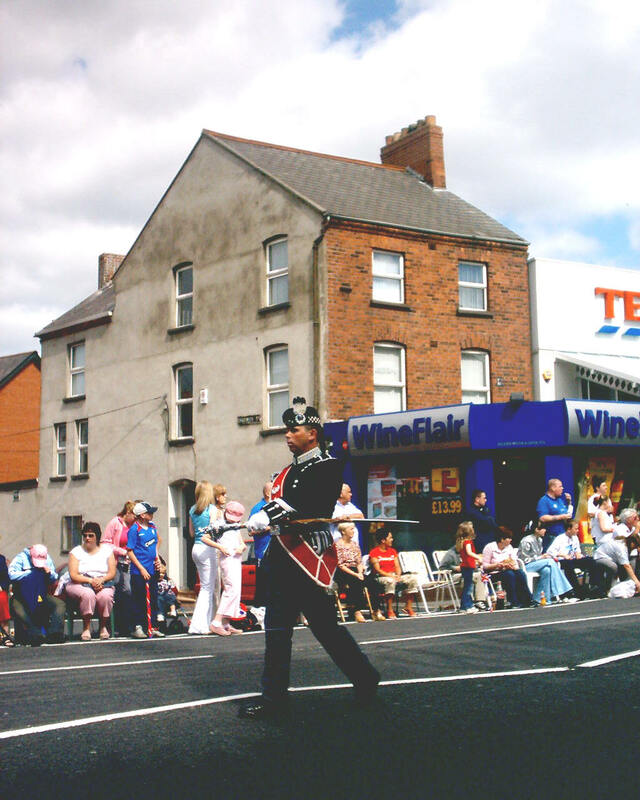 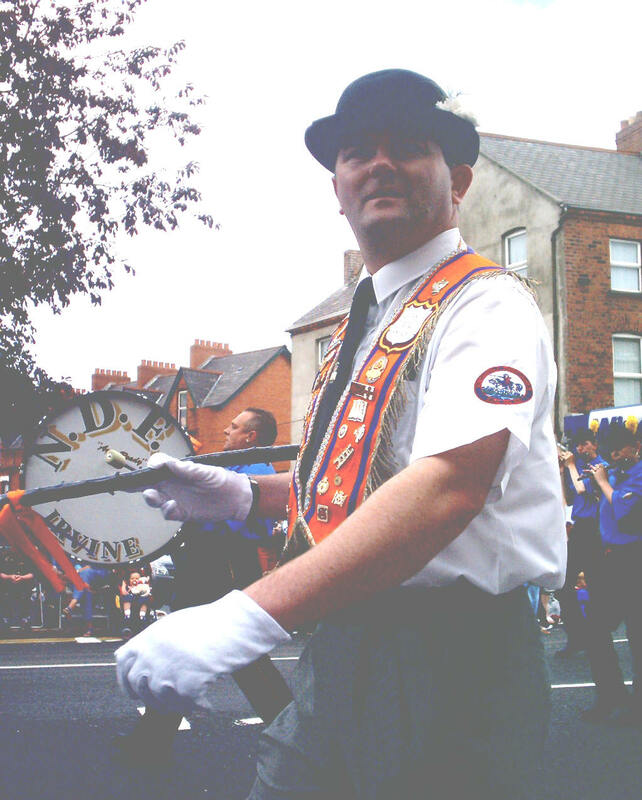 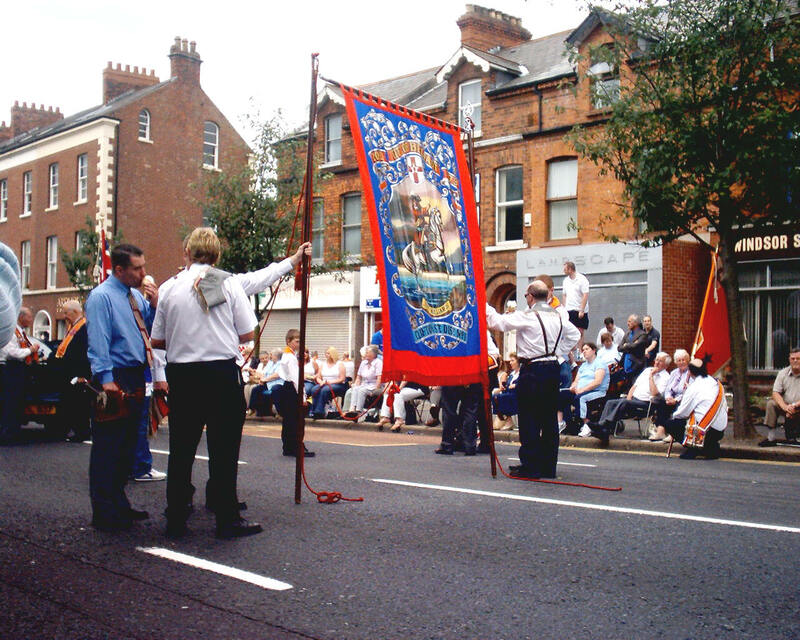 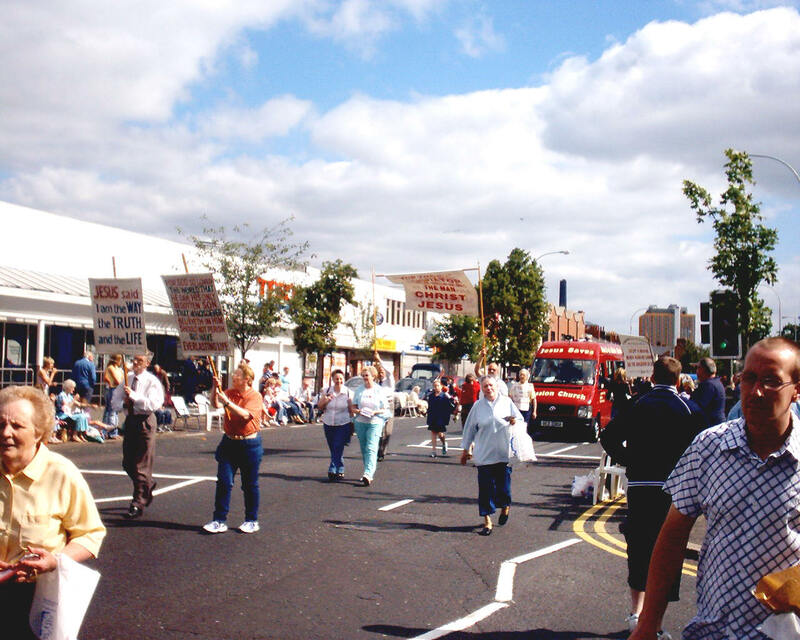 The parade leaves Clifton Street Orange Hall in the north of the city, proceeds through the city centre, out along the Lisburn Road, Balmoral Avenue, Malone Road and Shaw's Bridge to the field on the southern outskirts of the city. 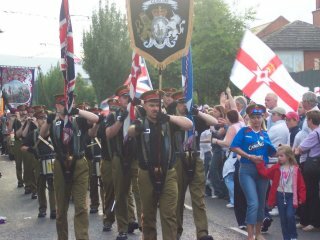 We would appreciate pictures from readers all over Ulster. 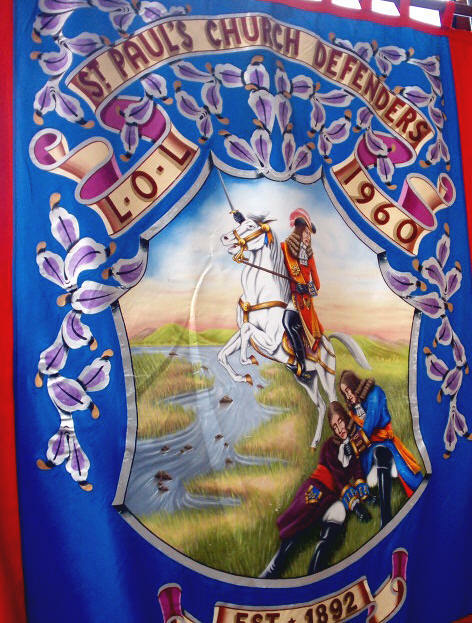 Please send us prints or pictures in JPEG format. 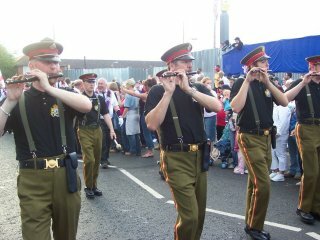 We especially want pictures from parades outside Belfast and even from further abroad: England, Scotland, Éire and Canada. 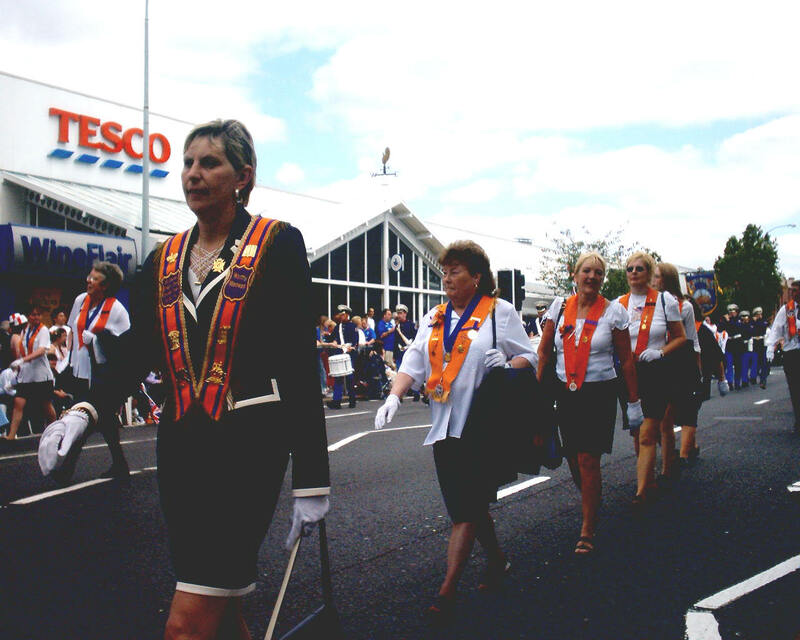 Jesus saves - evangelical procession Not all collarettes are Orange. 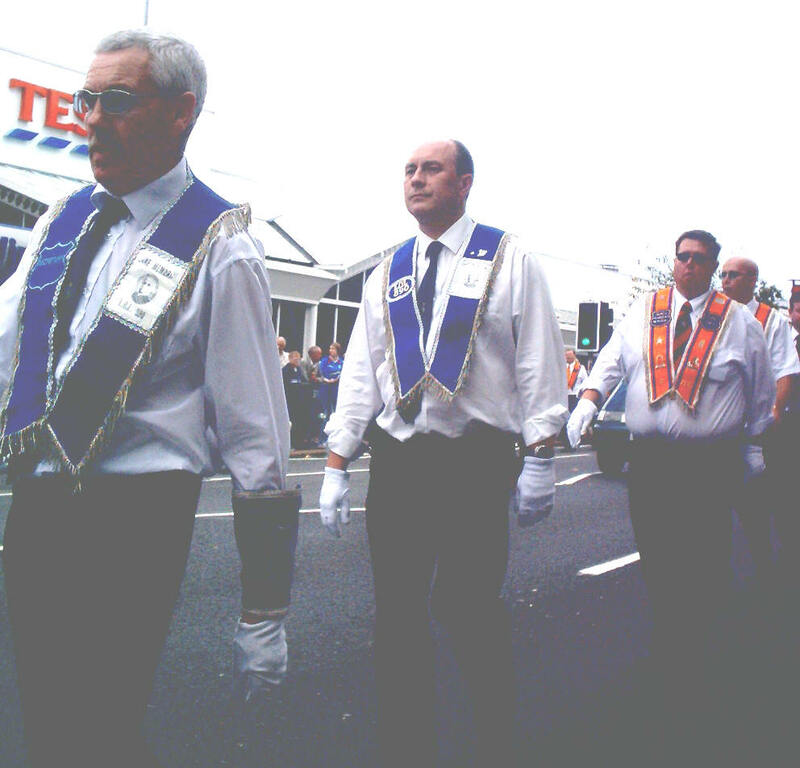 Heading back home in the heat. 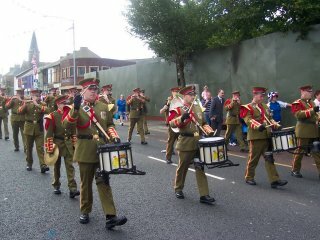 Nearly time to rest.. CBFB fluters return. 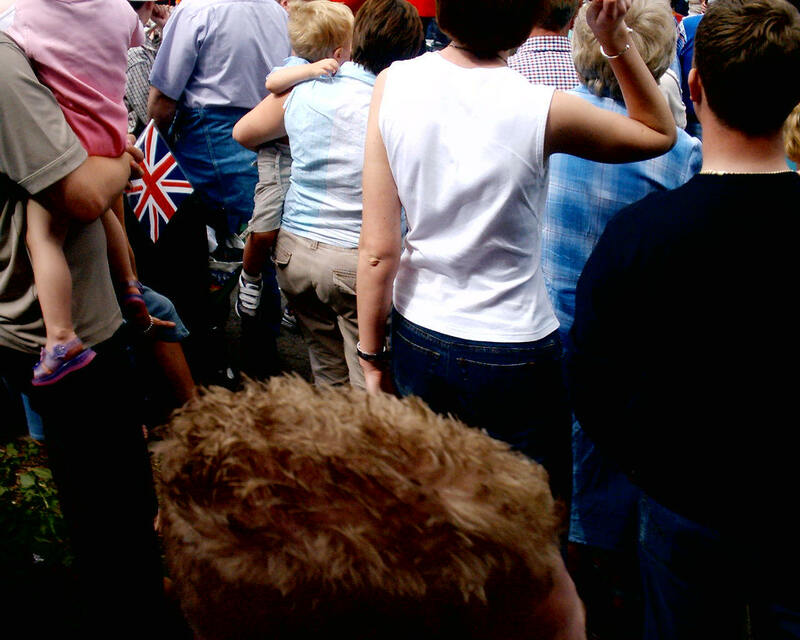 Back Home. 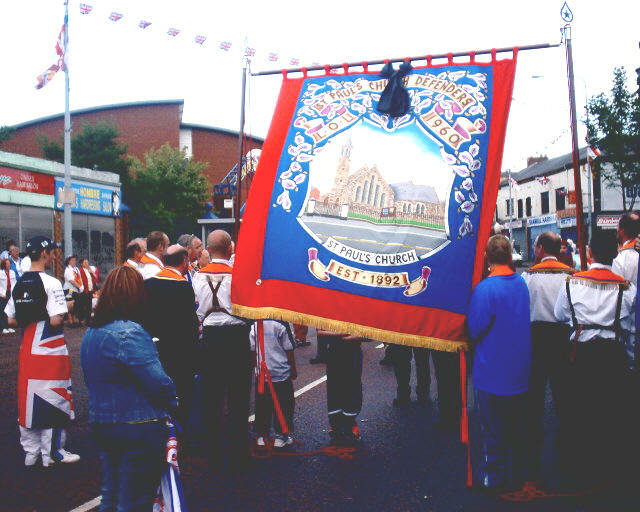 Dispersing at West Belfast Orange Hall, Shankill Road, Belfast. 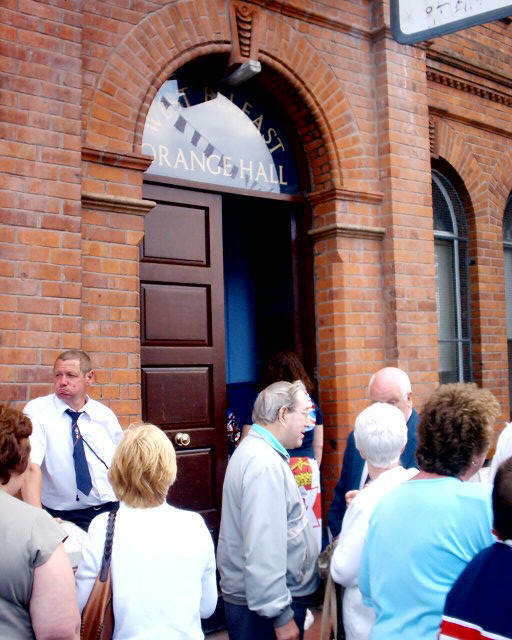 Lingering at the Orange Hall door. 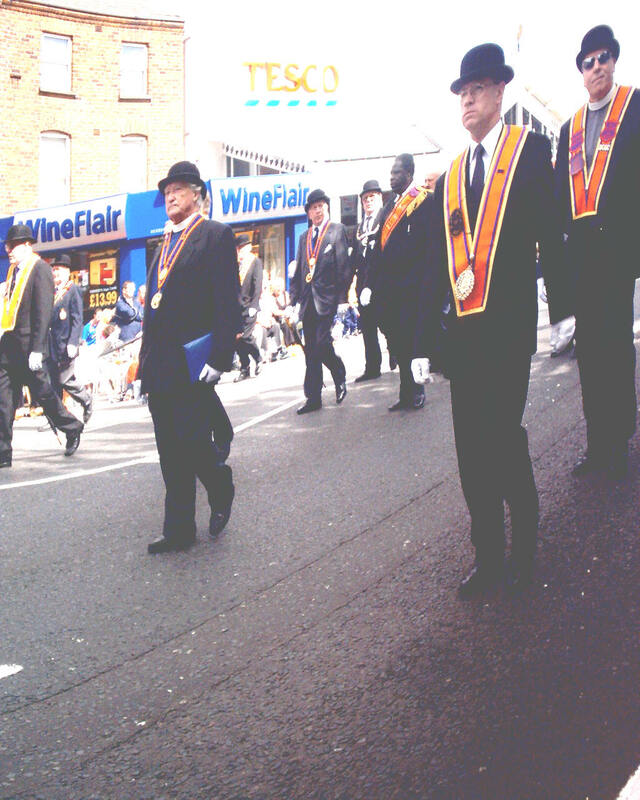 Straining to see the bands pass by. 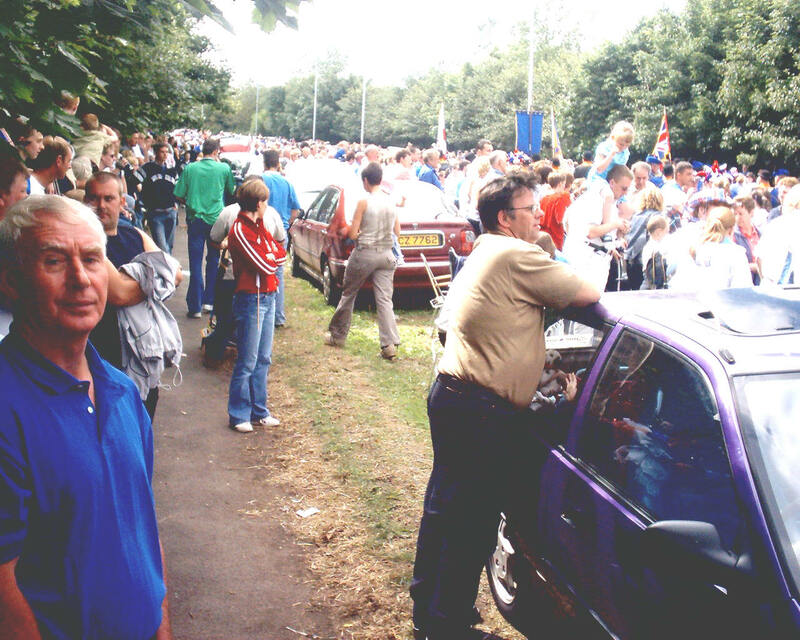 Large crowds gathered along the route. 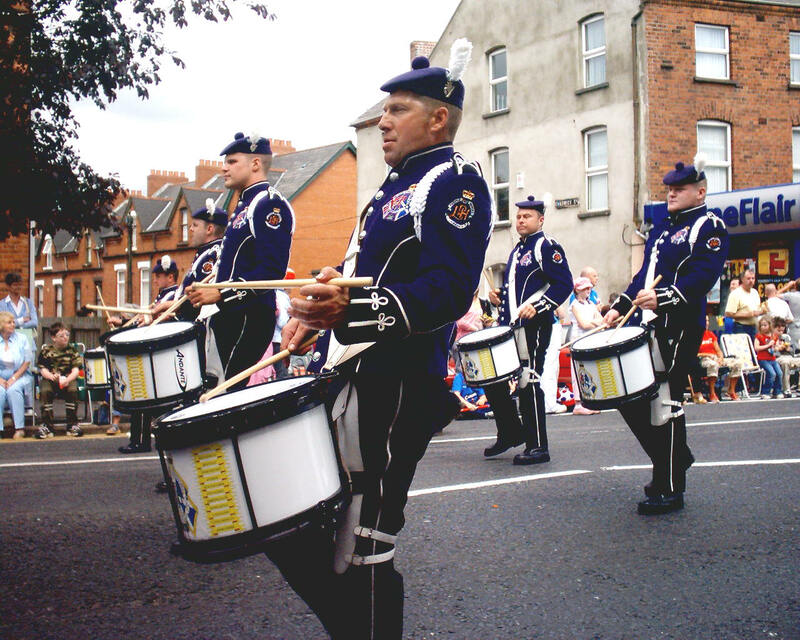 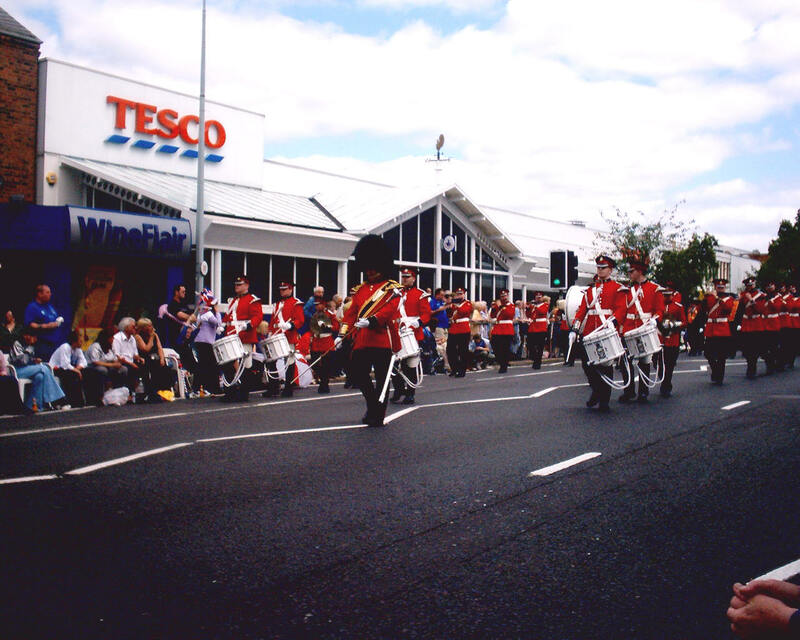 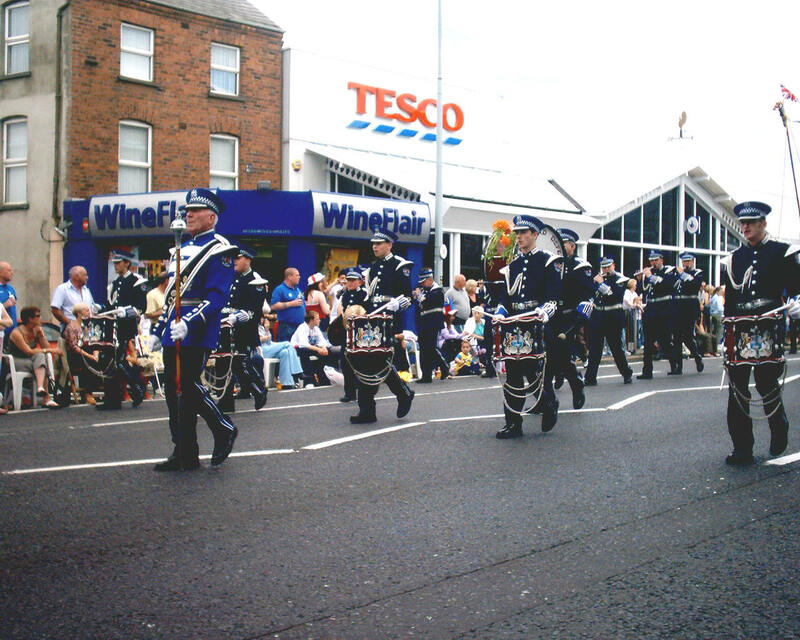 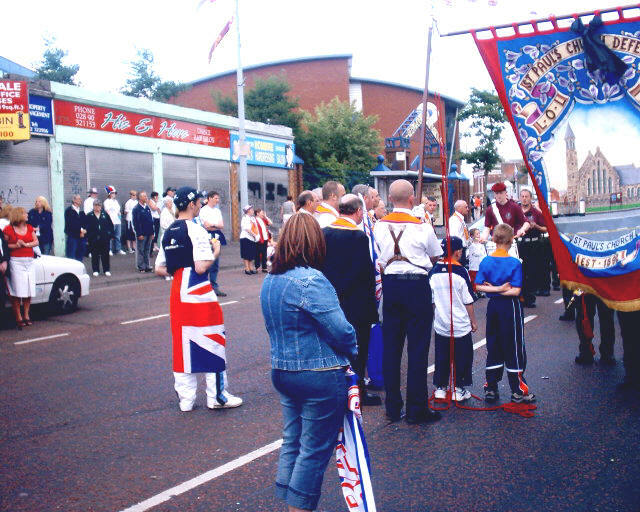 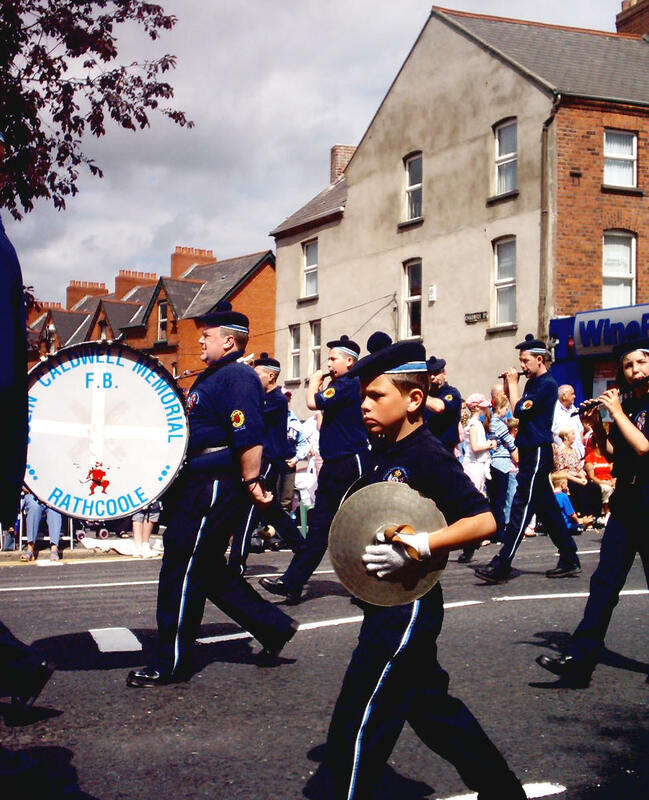 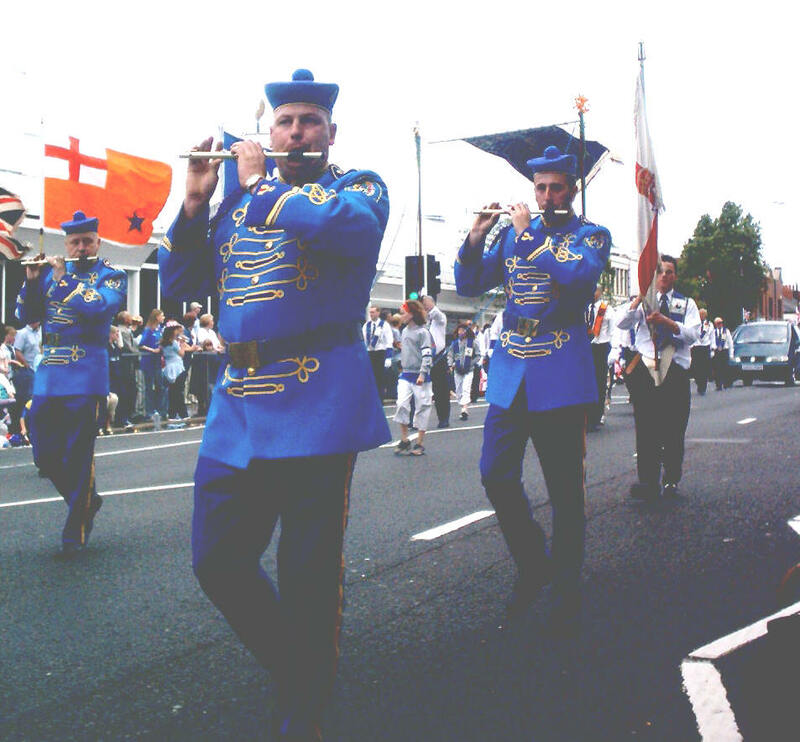 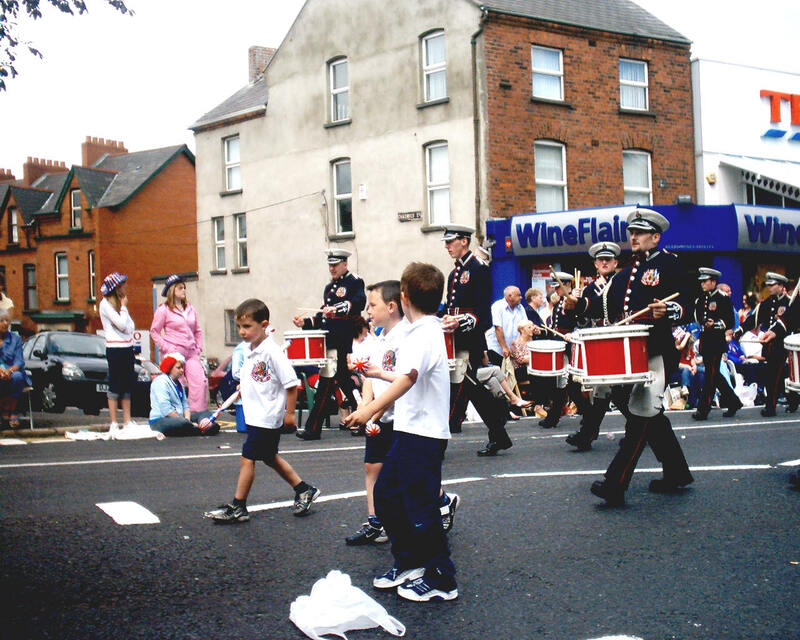 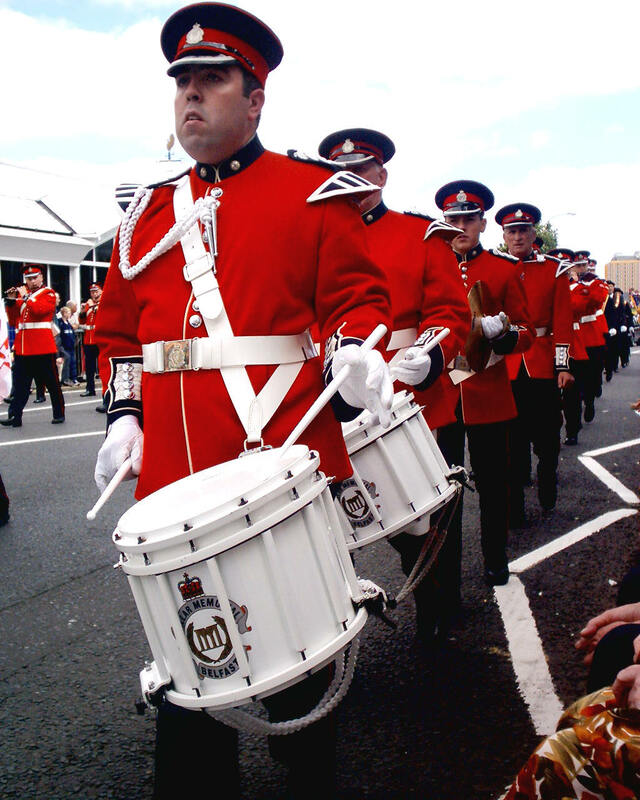 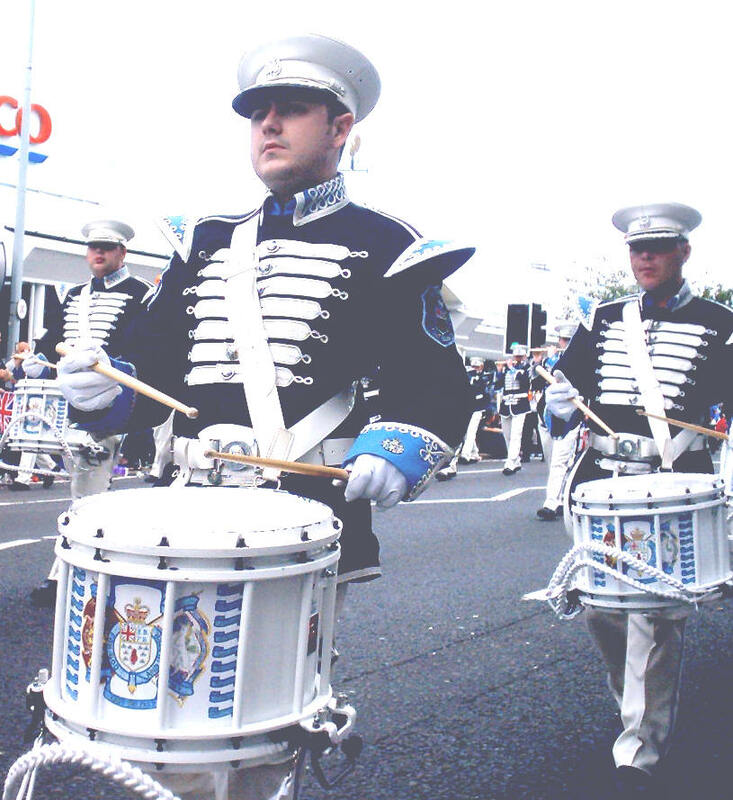 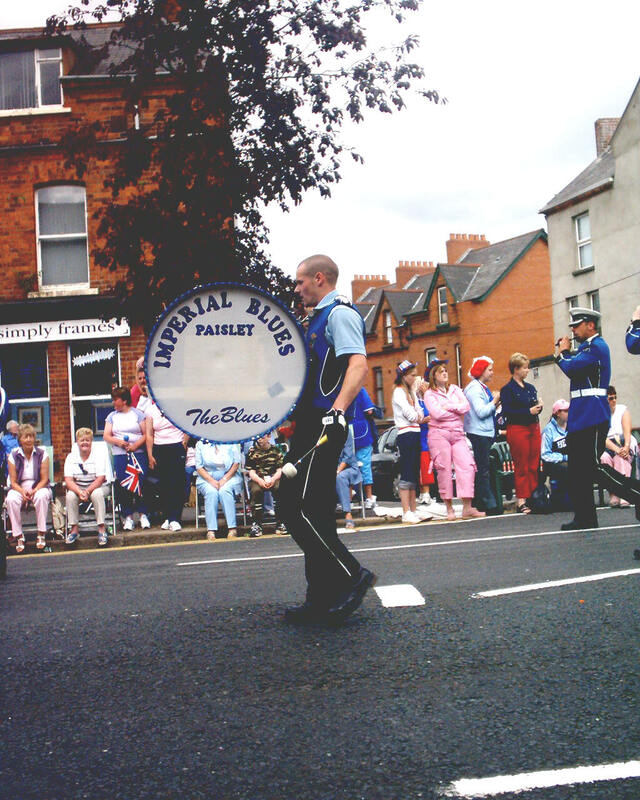 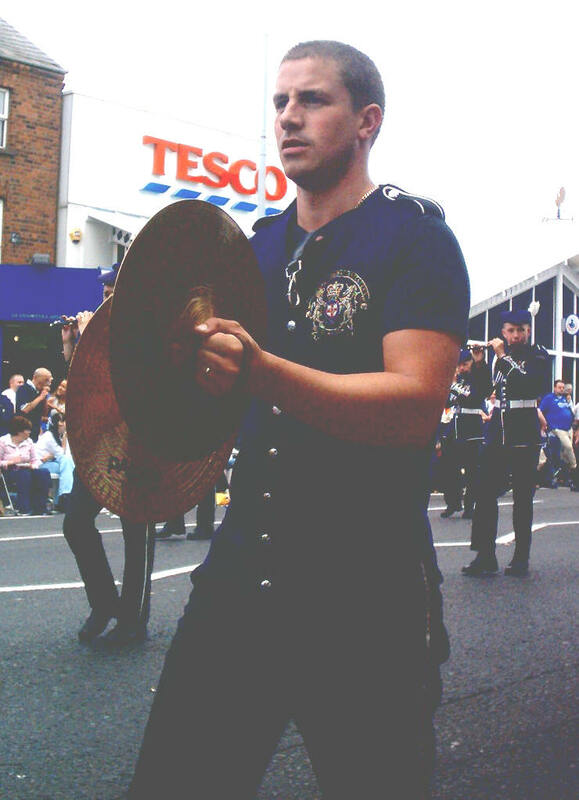 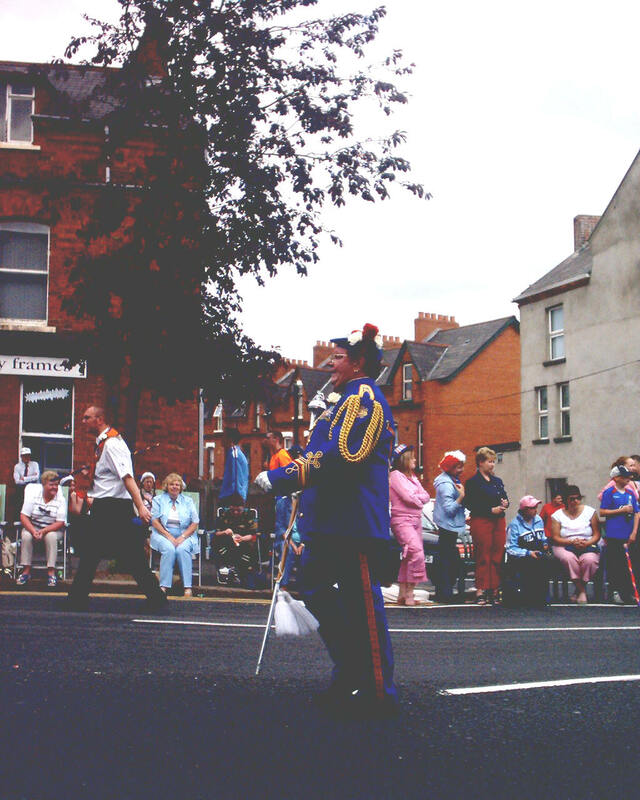 More pictures from the Belfast and Toronto Twelfth parades and from the Sham Fight at Scarva on July 14th 2003.